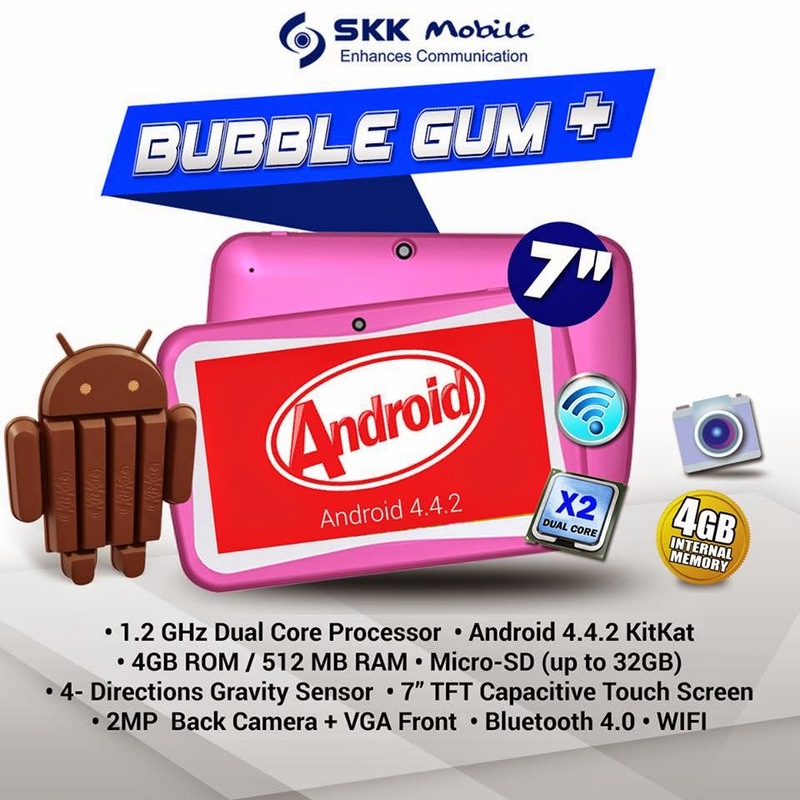 Aside from SKK Phoenix G1, Meteor and Krayon, the company also announced the Bubble Gum+. Bubble Gum+ is a tablet with 7 inch TFT Capacitive touchscreen. Powered by a 1.2 GHz dual-core processor with 512 MB of RAM and 4 GB internal storage that expandable up to 32 GB via microSD card. For Php 2,399 price tag, the Bubble Gum Plus equipped with 2 megapixel rear camera and VGA on front. Running on Android 4.4 KITKAT, its connectivity support Bluetooth and Wifi. The new tablet is available in 3 colors, including Blue, Black and Pink.